To install this script, click the link below and then press the "Install" button. You must have Greasemonkey installed. This is a GreaseMonkey userscript that hides and/or dims messages on the recent conversations page based on an adjustable age limit. 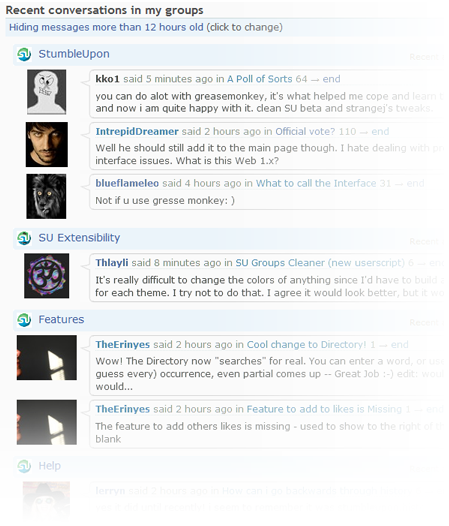 You can also enable/disable the fade effect from the User Script Commands menu. Sept. 29, 2008 - v2.0.2 - Added option to disable fading, activated auto-updates. 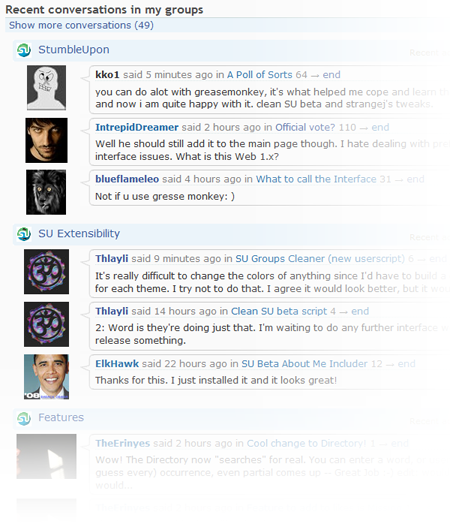 Sept. 29, 2008 - v2.0.1 - First version.